An RTA supervisor who stashed Dhs2,000 worth of bribe inside his shoe was sentenced to two years behind bars on Sunday. The Comorian man, MA, 54, was additionally fired from his job and slapped with a Dhs2,000 fine. 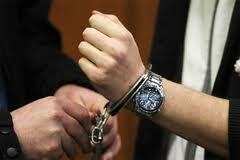 He will be deported after serving the jail term, the Dubai Criminal Court ruled. MA had caught a Pakistani cabbie, JA, 29, for illicitly soliciting passengers at the parking lots of the Deira City Centre Metro station at around 4.30pm on Nov. 28 last year. JA had been tasked with transporting hotel guests. According to JA, hotel passengers were scarce. He therefore drove his employer’s limousine to the Metro station in wait for any possible customer. MA showed up and threatened to fine him over illegally soliciting passengers. “I tried to convince him that I hadn’t transported any passenger but he refused. He then allowed me to transport one of the passengers to Sabkha area after seizing my car ownership certificate. JA alerted his supervisor and they both complained to Al Muraqqabat police. CID officers photocopied JA’s Dhs2,000 and organised a trap to arrest MA. JA met MA, paid him Dhs2,000 and MA returned the ownership certificate. During the arrest, MA denied having received any money from JA. Policemen took him to the police station from where a corporal frisked him and discovered that he had stashed it in his shoe. An RTA analyst said they had received several complaints from drivers and company managers that MA would seize drivers’ licences and ownership certificates and tell victims to pay him Dhs2,000 after threatening to fine them.